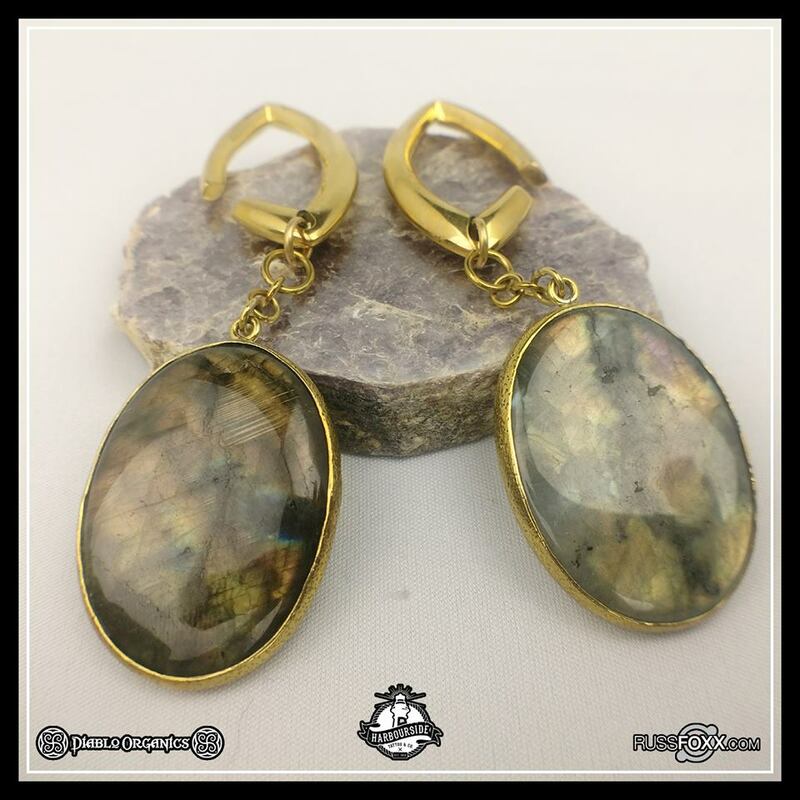 Here’s a pair of Solid Brass Oval Labradorite Dangles w/ Solid Brass Cutout Coil by Diablo Organics! Come by Harbourside Tattoo & Co and check out our selection of gold, brass, titanium & glass! We’ve also got gift certificates available for Christmas! Contact me for pricing and inquiries! 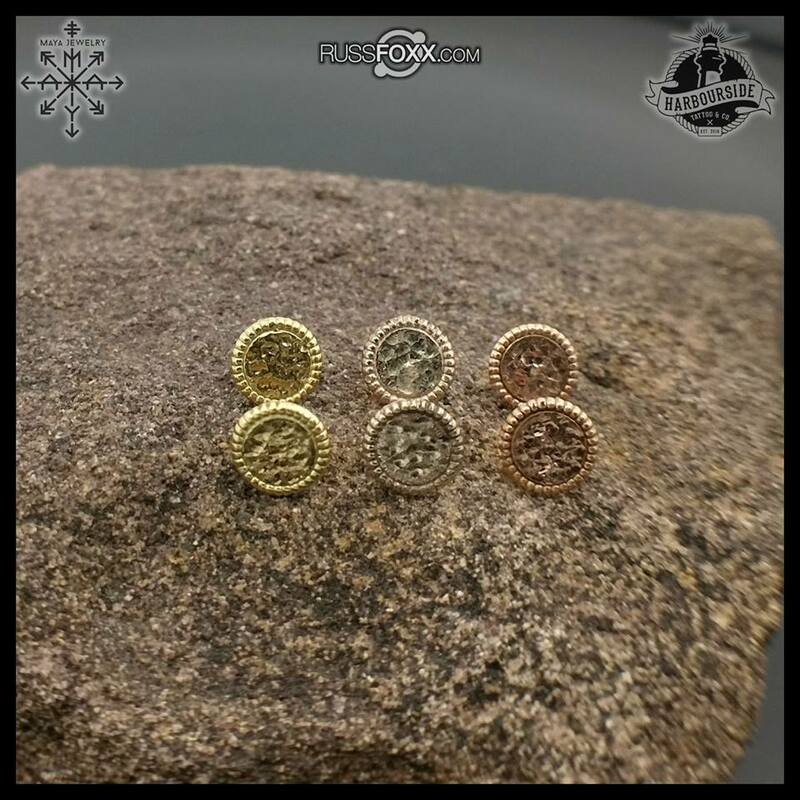 “Luxe” 14K Hammered Gold Threadless Ends by Maya Jewelry Now In! Let’s take a minute to appreciate how beautiful these “Luxe” 14k Hammered Gold Threadless Ends by Maya Jewelry are. We now have them in white, yellow AND rose gold! Come by Harbourside Tattoo & Co and check out our huge selection of gold, brass, titanium and glass jewellery! Pick up a gift certificate for the perfect Christmas gift!